Each year, October through to March, our Payroll Services team are responsible for setting up interns, junior medical officers (JMOs) and new graduate nurses within our employee HR and payroll system, StaffLink. “Our team is responsible for ensuring that all required paperwork has been received and actioned prior to activation in the payroll system for the commencement of the new clinical year,” said Angela Birleson, Payroll Relations Manager. 1,972 GradStart/MidStart nurses and midwives. other affiliated teams in Payroll, Payroll Accounting and Customer Experience. 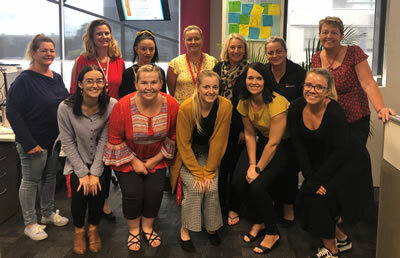 This work is a fantastic example of how HealthShare NSW collaborates with other teams across the business and throughout NSW Health, to achieve the highest quality outcomes for the doctors and nurses of NSW Health.